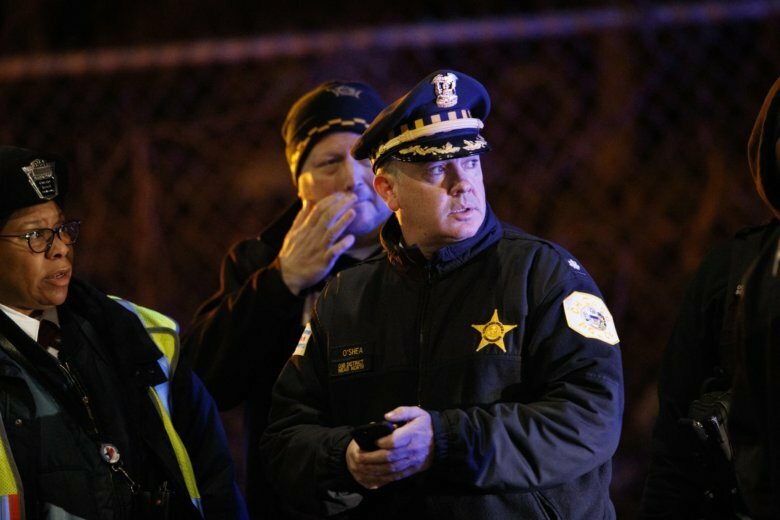 CHICAGO (AP) — Two Chicago police officers may not have seen or heard the commuter train that fatally struck them because they were focused on another train coming from the opposite direction, a department spokesman said Tuesday. Spokesman Anthony Guglielmi said “very limited” video from a body camera one of the officers was wearing helped investigators piece together how the tragedy might have happened. The officers had run onto an elevated area of the tracks Monday night on the city’s far South Side to investigate gunfire. On the video, they “clearly acknowledge” a northbound train just before the southbound train hit them, Guglielmi said. Officers Eduardo Marmolejo and Conrad Gary were doing surveillance after Shotspotter technology that detects the sound of gunfire alerted police about shots fired in the area. Between the sound of the first train and the fact that they were focused on finding a gunman, they were unable to move off the tracks. The man Mamolejo and Gary were pursuing was taken into custody by other officers a short time later, and a gun was recovered near where the officers were struck. Guglielmi said the man was being questioned and had not yet been charged with any crime. “These brave young men were consumed with identifying a potential threat,” Superintendent Eddie Johnson explained to reporters at a news conference late Monday night. Later, Guglielmi said, Johnson led a delegation of the department’s command staff to search the area along the tracks to recover the remains of the two officers. Guglielmi said Johnson has met with the families of the two officers. The officers were assigned to the Calumet police district. Marmolejo, 36, had been a member of the department for 2 ½ years; Gary, 31, had been on the force for 18 months. Both were married with children. Marmolejo was the father of three children, one in high school and two younger children; Gary had a 6-month-old daughter. The tragedy bore similarities to the 2002 death of Chicago Police Officer Benjamin Perez, who was fatally struck by a commuter train while conducting surveillance on narcotics activity on the city’s West Side. Officer Samuel Jimenez was killed in a shootout last month after he chased a gunman inside a hospital on Chicago’s South Side. That shooter also killed two other people before taking his own life. And in February, Cmdr. Paul Bauer was fatally shot while pursuing a suspect in the Loop business district. The total is the highest number of Chicago officers killed in the line of duty in one year since five were killed in 2010. Their deaths mark the first time two officers died in the same incident since 1990, according to Dave Bayless, spokesman for the Chicago Police Memorial Foundation.